It is almost time for the end of the year of 2018 already! Which means end of the year party is coming up. To help you guys with creating fun holiday look I have couple lenses from UNIQSO Sweety K line to do review on. 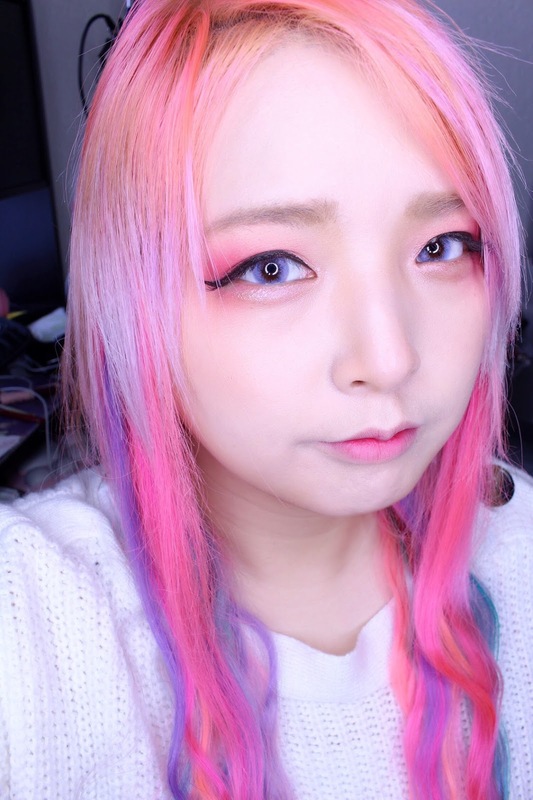 Also do not forget to check out the great deal that UNIQSO is have going on where you can get 12% + 12% discount on Sweety, Barbie, EOS, and Western Eyes lenses by making purchase by December 14th! Also don't forget to use coupon code "khyunwal" to get 10% off from your purchase. This lens came across me and got my attention, cause of its color mixture. 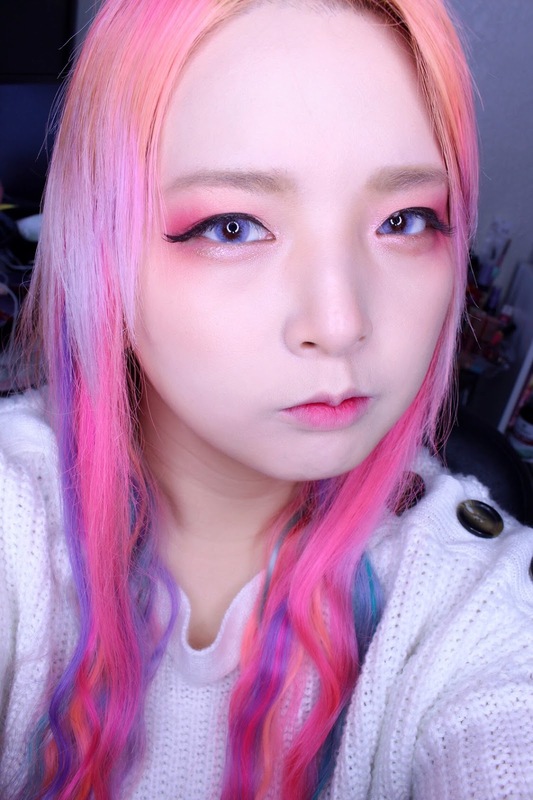 Just like the name unicorn this lens is mixture of lavender and pink color to create that mystic look. 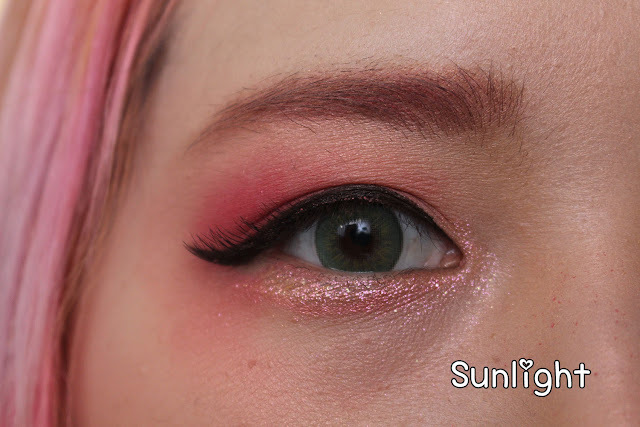 Since this lens design is very simple by just having two different color mixture I was little skeptical on how this lens was going to appear on my dark brown eyes. 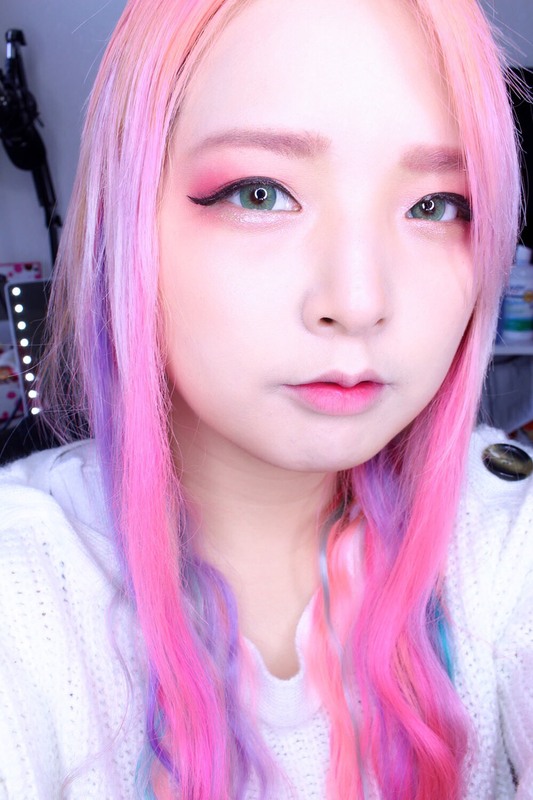 But boy was I surprised when I tried this on my eyes, which you can see for yourself from the picture examples below. Comfort, This lens was breathable on my eyes, considering how winter season can be drying which usually cause some discomfort in my dry eyes. I did not had to put eyedrops through out the day when I am wearing the lens for the 6 hours straight. It didn't cause any irritation for even long term wearing. Color, I definitely love the color of this lens. and is actually creating very delightful pastel pink and purple hue. 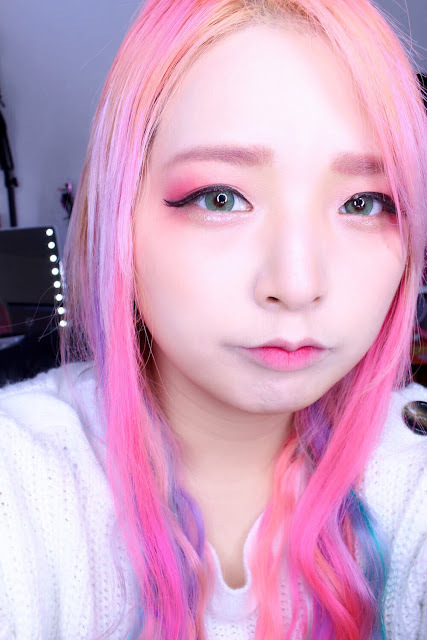 I loved the fact that it showed up so well on my dark brown eyes, which means with those people with the lighter eye colors, this lens will have different color effect on them! Design, Design of this lens is actually really simple. which makes the lens to blend in with one's natural eye color really well, cause it is using tiny color dots making a spiral form. 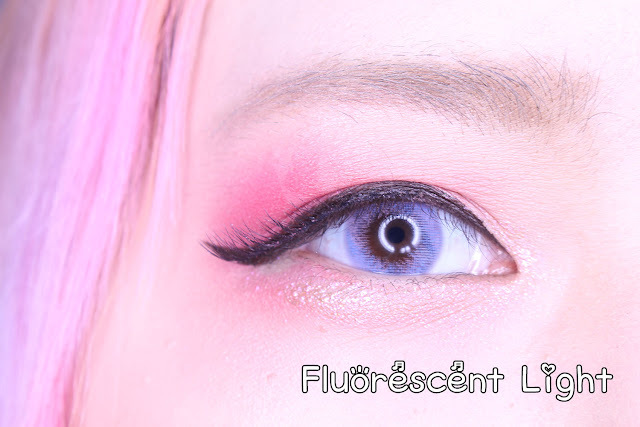 Enlargement, This lens does not have the dominant rim around the lens itself, so it will not give as much enlargement as some may desire for that dolly eye look. But I am more into the lenses without the rim around it, because it creates more natural appearance for my liking. It gives out very subtle enlargement on my eyes. 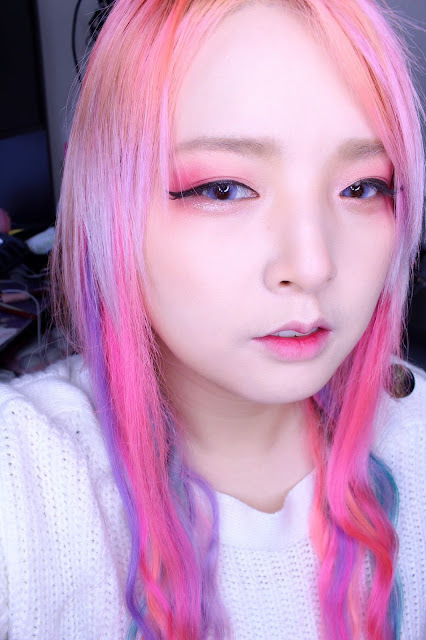 If you are into having the natural appearance with amazing pastel like color change for your looks, this is the definitely the lens you should give a try! 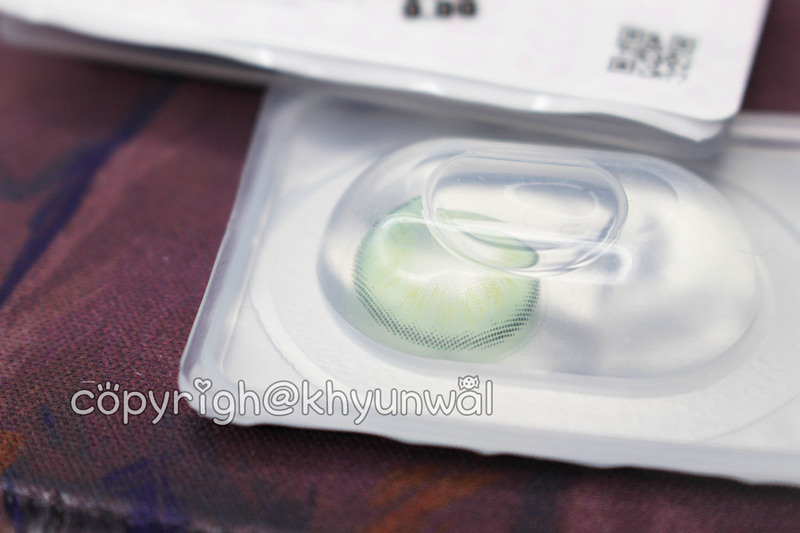 Next lens we are gonna take a look at is the Sweety K's Fantasy Green lens. 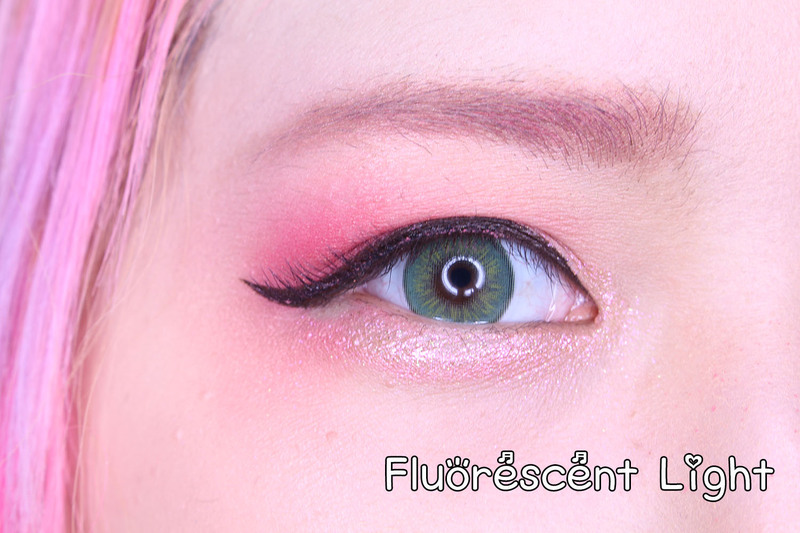 Since Christmas is coming up, I thought this green lens would be amazing design to try out to create some Holiday season look for this winter. Comfort, This lens was just a little uncomfortable for me during the first time trying it on. 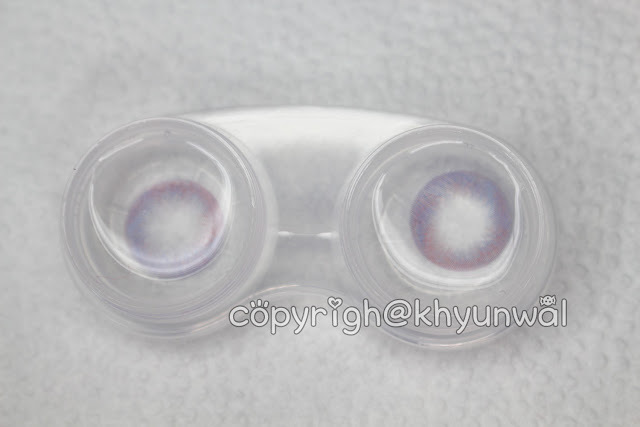 This lens does have more fine printing method that is been used compared to the Purple Unicorn lens, so that may had been why it felt slightly uncomfortable for myself. But after trying this lens out couple more time, it eventually came to get used to, but I would not recommend for the long time wearing. Color, The way color shows up on my eyes was good. Since it is using more fine dots as printing methods, it shows its true color even for those with the dark brown eye colors. Not only that the little bits of yellows that reminds me of little ray of sunlight coming through around the lens creates the nice sparkling effects. Design, This lens has nice subtle design to it. Using the two different printing techniques for the base color of the lens and the rims to create more definition to the eyes when you're wearing them. 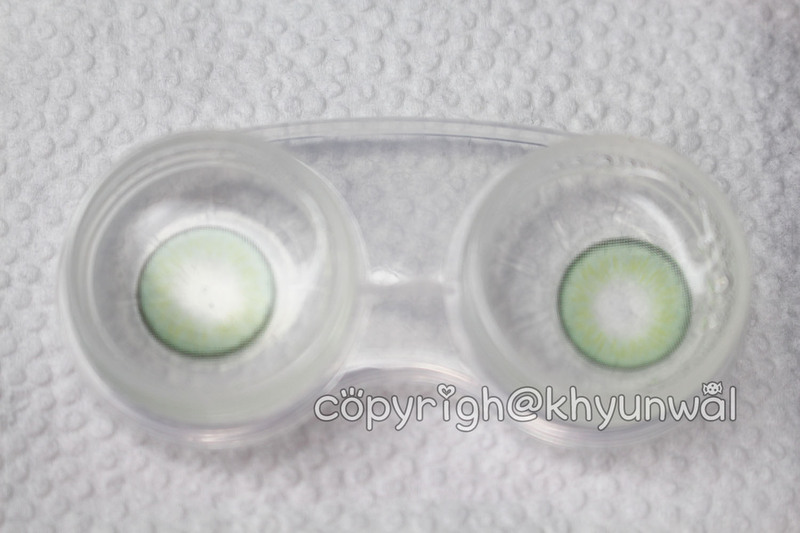 Base color uses the green transparent with yellow streaks made out with little dots to create the sparkling effect, and have grey tiny dot as the rim to create the definition around the eyes. This creates rather natural appearance which is great for daily uses. Enlargement, This lens uses the small gray dots around the rim to create the enlargement effect. With the color choice they had made for the rim it creates the subtle enlargement effect on my eyes. It won't have as black rims like most circle lenses' have, but it is enough to create your eyes to appear more defined without making it appear too much.